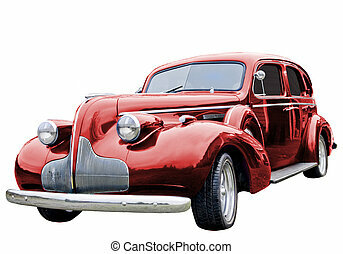 Red classic car. 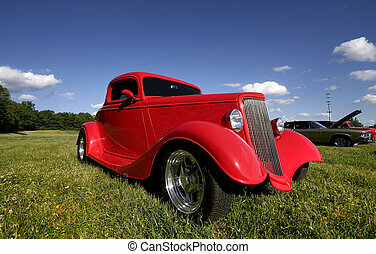 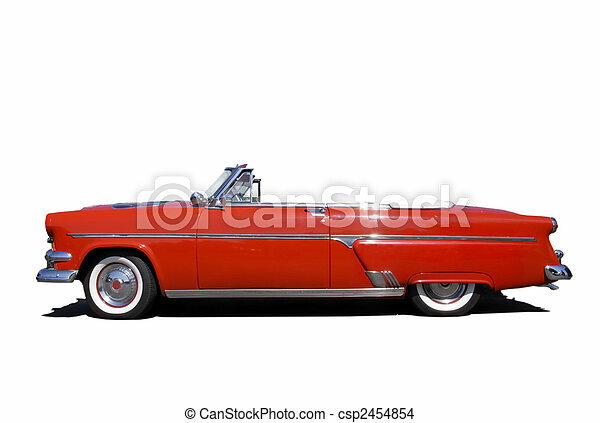 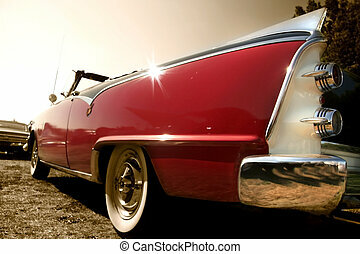 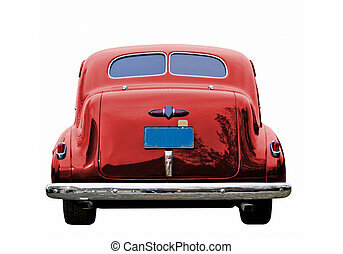 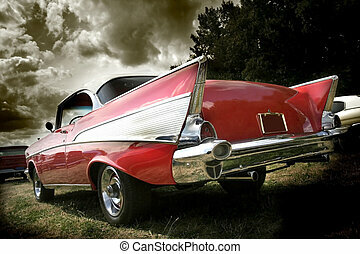 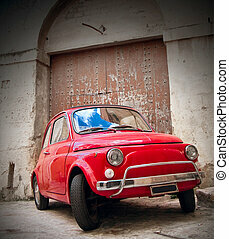 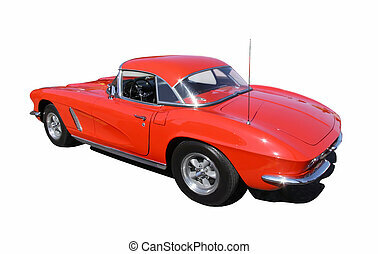 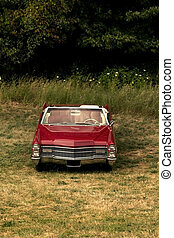 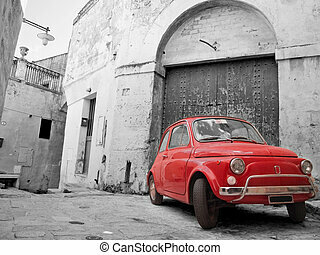 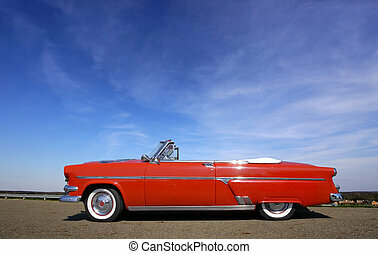 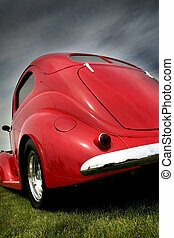 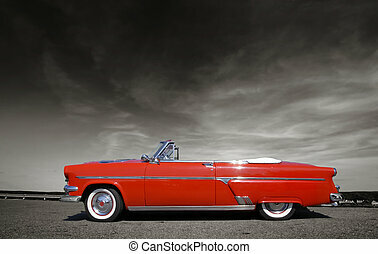 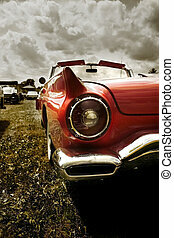 Shiny red classic car isolated on white background. 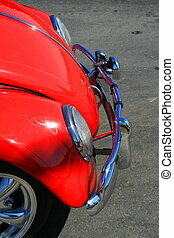 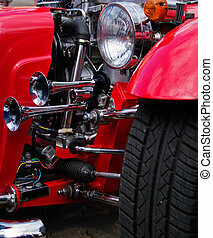 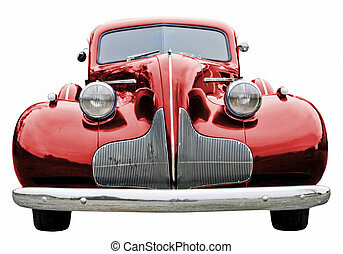 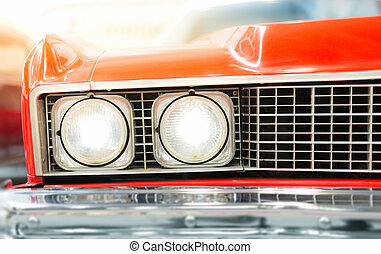 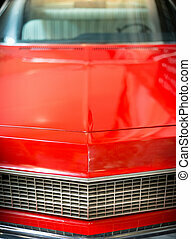 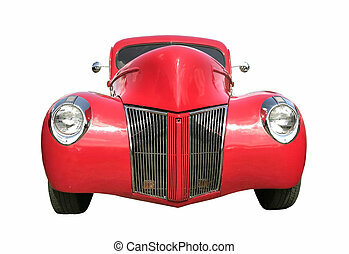 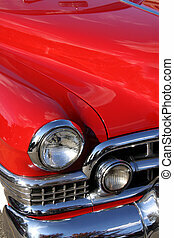 Close up of a red classic car. 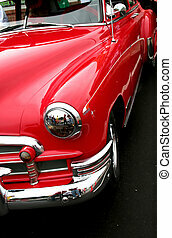 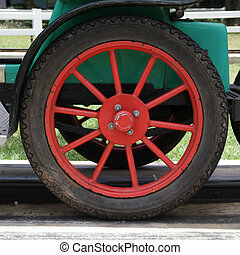 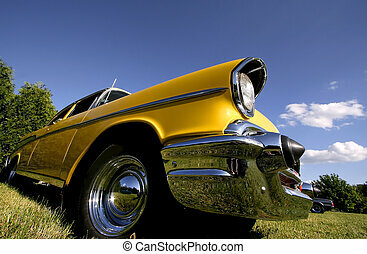 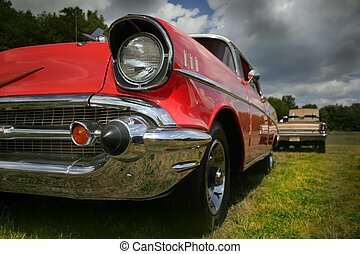 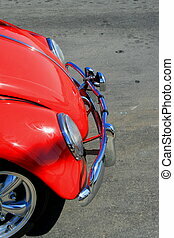 A close up on a red classic car. 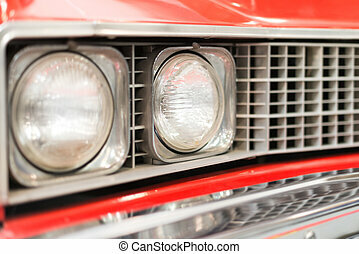 Close up of front, grill, and headlights. 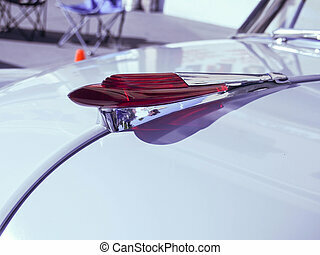 Classic car red hood ornament. 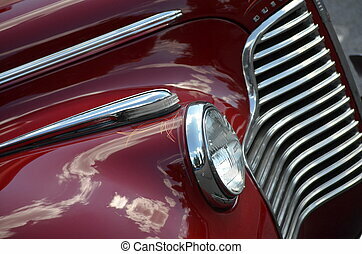 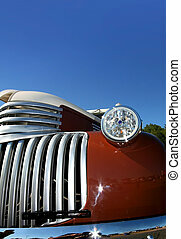 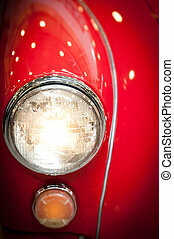 Close Up Detail of Shiny Red Classic Car with Focus grill and Hood.